If you’ve been thinking of starting 2016 with a new smartphone, Amazon can help you out. 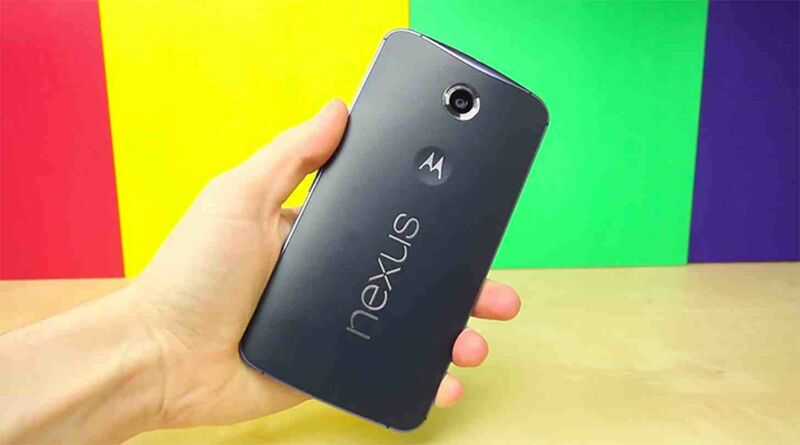 Amazon is selling the 32GB Nexus 6 for $249.99. The N6 comes new and factory unlocked, and the 32GB model is available in both Cloud White and Midnight Blue. If you’d like more storage — and you might, since the N6 doesn’t have a microSD slot — Amazon is selling the 64GB Nexus 6 in Cloud White and Midnight Blue for $299.99. The Nexus 5X and Nexus 6P may be the new hotness on the Nexus block, but the Nexus 6 is still going to be a solid smartphone for most everyone. And on T-Mobile, the N6 has received its Android 6.0.1 update, complete new emoji and other Marshmallow-y goodness. If you’d like to treat yourself to a discounted Nexus 6, hit up the Amazon link below. I’d be pissed… And sending it back if possible! Nothing like pulling that plastic off for the first time….. I think I have a problem? I’d take a slightly used one for $149 and $199 respectively. Very nice. How is the Nexus 6 battery life? I Might buy this. Is the US unlocked version fully compatable with t-mobile? Ie wifi calling and volte? Yes, it completely supports both those features and supports T-Mobiles band 12 LTE. It is compatible with all tmo bands, but does not have WiFi calling or volte. Don’t listen to the other guy. Are you trying to troll? It has both WiFi calling and VOLTE, including on Band 12. That was the whole point of the phone having separate builds specific to T-Mobile for about a year (it recently went unified). I’m not going to argue with an idiot so I’ll just leave it at that. Wow, what a fool. It has WiFi calling and VOLTE…completely band 12 compliant. Nope. Definitely has both features. These were $199 during black friday I believe and the 64GB version were $249. So might as well wait a little bit longer. They’re not being made anymore. The BF deal was meant to clear stock, and it didn’t. I wouldn’t gamble, for anyone who truly wants one. It’s a good deal, but I suggest trying out the phone. I had a Note 3 when I got the N6. I really wanted to keep it, but a few flaws ruined it for me. Battery life, camera is so so (I had a Note 3 which had a better camera), headset speaker static, curved design rocks when touching the phone while sitting on a desk, FFC speakers are awesome, but using the speaker when making calls is not as crisp/clear as even the Note 2 nor 3. Opinions are like a**holes, everyone has them. I went from the Note 3 to the Nexus 6 and there’s no way I’d look back. I’m also in a Band 12 market so that also factors in…but I’d take my phone over the wife’s Note 4 any day of the week. Yes, you may be right about opinions…may be, I was trying to simply obtain feedback based on actual user experience with both devices (software, camera, battery…). As someone posted earlier, I will purchase the N6 device and determines if it fits the bill. My experience is the camera is better than most people give it credit for, certainly as good as the Note 3 despite other comments. It is not a top tier camera and stock Android software still isn’t fantastic, but unless you’re a photographer or like to make posters out of your pictures you won’t really notice. There’s no question that for most tech users stock Android is the way to go. The original Nexus 6 plows through any task you throw at it with ease, very un-Note 3 like. TouchWiz is heavy on the Note 3 and the phone is starting to show its age with lag. Battery life is as good as can be expected on such a large phones. Most days I can go all day, there are days of heavy usage where the phone has to be plugged in before bedtime. The good news is the thing charges very fast. When you get yours I’m interested to see what you think. No SD card slot and a “baked in” battery kills it for me. I agree with you on the battery, but what options do we have left? LG G4? G5 is rumored to go with sealed battery. Lumia 950 series? It’s Windows 10 Mobile, and the Surface phone rumored to supplant it is likely to have a sealed battery. We lost that battle. I miss user replaceable batteries. It’s quite simple really, I’m going to stick to lower end phones. Hell, the LG Stylo is perfect. No one really needs a high end phone, they want one. I can think of better things to spend money on than a flagship phone. The LG Stylo is actually not a bad phone. I got it for one of my siblings for $199 from T-Mo. Nice phone. N6 is a nice phone, but the battery life I experienced was disappointing. I can’t speak for the Stylo but i have the Nexus 6. It’s better than any flagship phone I’ve ever used and I’ve used the majority right up until the S6, Note 5, and G4. For $249 you really can’t get more phone for the money. Okay, you are right (smile)… but it is still a greater bargain than paying $600.00 or $700. 00 dollars for the other flag ship devices. It won’t be $199.99 for new stock again. You can take that to the bank. I would never buy a Nexus6. The zte Zmax 2 is a great phone and for the price you can’t beat it. Just bought the at&t Gophone zte Zmax 2 for $99. The unlock code was free from at&t unlock website. It has a removable battery and bands 2,4,12. Can’t beat the price! The battery is a champ! And it’s removable so it makes to so great to get another one. It’s a 3000mah (Zmax one is slightly larger) but it lasts forever. Haven’t tried band 12 yet (usually on band 4 here in San Diego). I don’t think you can go wrong for $99 though. Wally world also has it for this price now. Sweet. I live in SD also and although we don’t have B12 yet, I go to Anaheim and LA a lot. I love my Zmax so it’s worth it to try the 2 for $99. Just assumed it was only for ATT. Didn’t think about unlocking. At&t unlocks for free on their website. Just remember to always select non at&t customer. Took about 3 days to get the unlock code sent. Works with tmobile flawlessly (sans wifi calling which I’ve never needed). Are you rooted? I was going to buy this phone today but I can’t find any guides to root the Zmax 2 and that is a must for me. Yea not much left on the battery/SD card front. I can lived with the “baked” in battery if they make it large enough, which seems to never be the case. You’re probably going to be disappointed with phones going forward. I’m just going to stick to budget phones. As of Jan 12 2016 the “new” 249.00 phones seem to be gone. I got one at 249.00 the monday before xmas from amazon. in sealed box. New. Got the 6.0.1 update right away and also the jan sec update last night. Thanks google. No thanks to you t mobile. If you want updates get a nexus device unlocked with no phone co branding on it. I had the tmobile ZTE Zmax and I will tell you that the battery on that phone on kit kat 4.4 will last 3 x as long as the Nexus 6 on marshmallow. Just the facts. But that Zte phone would pretty much outlast anything out there. But updates? Forget about it on t mobile. They are not going to update any cheapo phones. No money in that. After the software update (marshmallow ), did you notice improveed battery performance? What do you mean “new” phones. Aren’t the ones they are selling on Amazon new? How can you tell us used? I would say broken seal (unless otherwise stated that they unsealed for some reason), no retail plastic on screen, accessories/paperwork missing or open, any marks, Knicks, scuffs anywhere on phone, phone boots up not in setup mode among other things. I feel your pain but a little research would show you zte and updates are never in the same sentence. Plus when buying a $200 range phone history tells us it will not be updated often. If updates are important to you my advise is do as you did and stay with an unlocked nexus with no branding, or if you don’t mind waiting a bit on an update an unlocked no branded current flagship from moto/lg. They seem to be semi decent with updates. Does an unlocked Nexus 6 support VoLTE over band 12? I know on some devices that’s an issue. God I should have waited to buy my Nexus 6. How is the Nexus 6 battery life, especially, after the software update? Marshmallow in general has been great. 6.0.1 I’m seeing two and a half days with minimal use. 8-10 hours with extreme use. Well, I bought 2 of the d*mn things. Hope it was a good choice. I figure they should be good for a couple of years and a 6p is just too much. I got a 64 gig and by the time I decided on another one they were out of those so I got a 32 gig. I may sell that one later.